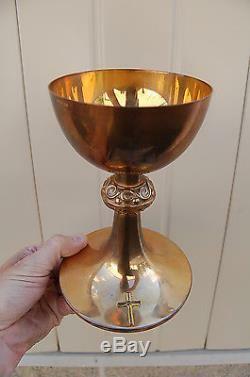 + Fine Older Chalice (Cup Sterling) +. 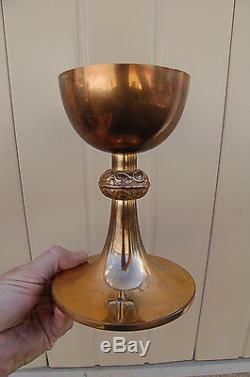 + This is a very nice older chalice with the cup made in Sterling Silver +. + It stands 7" tall, the cup is 4" diameter +. 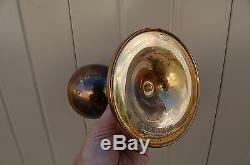 + It has an old in memory name engraved on the bottomplate +. + We have thousands of classic church items, please see our other listings to view them all +. The item "+ Fine Older Chalice, Cup Sterling Silver + + + (#799) + chalice co" is in sale since Thursday, May 5, 2016. This item is in the category "Collectibles\Religion & Spirituality\Christianity\Other Christian Collectibles". The seller is "liturgy" and is located in Danbury, Connecticut.